Whether you opt for traditional liposuction or ultrasonic liposuction at Regional Plastic Surgery Center, the procedure can help you improve and enhance your body contours and make you look healthier, more athletic, and more attractive. If you have stubborn areas of fat on your body that will not respond to exercise or a healthy diet, liposuction or ultrasonic liposuction may be the right procedure for you. Liposuction is a surgical body contouring procedure that can remove fat deposits that have proven resistant to traditional methods of weight loss. Even patients who eat a nutritious diet and exercise regularly may struggle with these stubborn pockets of fat. Liposuction is an extremely versatile procedure that can be used to target nearly any area of the body. Common “problem” areas can include the abdomen, flanks (love handles), back, hips, thighs, buttocks, knees, upper arms, chin, and neck. Men may also choose liposuction to reduce fat on the chest. Although liposuction does remove unwanted fat, the procedure is not designed for weight loss. Instead, liposuction is intended to slim, tone, and contour targeted areas of the body. Patients who are at, or near, their ideal weight and lead a healthy lifestyle can enjoy long-lasting results. Our patients are thrilled with their results! Most patients who undergo the liposuction procedure are finally able to rid themselves of stubborn fat that did not respond to diet and exercise. To see the amazing results our cosmetic surgeons have achieved on liposuction patients, view the liposuction before and after photos we have featured on our website. Female candidates for liposuction usually have the procedure performed on the hips, thighs, and stomach areas and beneath the chin, arms, and breasts. For men, the procedure is usually performed around the waist area, beneath the chin, and on the chest area. Liposuction on areas around the neck and face can be a good way to augment the results of eyelid surgery, face lift, and other facial cosmetic surgery procedures. Multiple areas of the body can be targeted during one procedure. 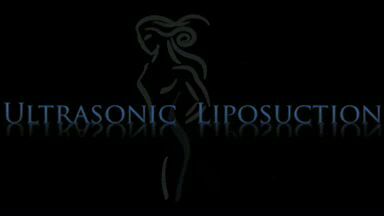 However, liposuction is not a substitute for overall weight loss. Patients should also be aware that liposuction cannot remove cellulite. Patients can undergo liposuction in conjunction with other procedures, including tummy tuck. Contact our plastic surgery practice to find out if body contouring is right for you. Liposuction and tummy tuck surgery are both treatments that can achieve a smoother and slimmer abdominal appearance, but each procedure is designed to address different concerns. In general, liposuction can be an exceptional technique for sculpting fat bulges and eliminating areas of isolated fat through the removal of stubborn fatty tissue. Although liposuction is effective, this method of fat reduction has limitations and cannot improve or tighten excess skin around the torso. As a result, liposuction is typically beneficial when skin laxity is minimal, and the best results are generally achieved in patients who have good skin elasticity. In contrast, a tummy tuck can be an ideal treatment option for patients who struggle with excess skin around the midsection and seek to achieve a firmer, smoother, and tighter abdomen. Whether these characteristics are present as a result of genetics, weight fluctuations, or pregnancy, tummy tuck surgery is intended to slim the waistline by addressing loose/sagging skin and stretched abdominal musculature. Thus, the tummy tuck procedure is ultimately able to improve the look of a hanging or protruding abdomen. If fat removal is also necessary to achieve a patient’s aesthetic goals, liposuction and tummy tuck surgery can be performed together for comprehensive abdominal enhancement. Our board-certified plastic surgeons can recommend the best treatment plan for your goals after assessing your needs in a consultation. Many of our patients are individuals of normal weight with localized areas of fat on their bodies that refuse to respond to normal diet and exercise programs. Liposuction can eliminate these stubborn fat pockets by removing them with a special device. Our patients engage in a thorough consultation with one of our cosmetic surgeons. The liposuction consultation includes a discussion of the patient’s medical history and surgery expectations. Our cosmetic surgeons determine how much fat should be removed, the best technique to use, and if any other cosmetic surgeries need to be performed to produce optimal results. During the procedure, our patients feel no pain or discomfort, as anesthesia is used. Incisions, placed as inconspicuously as possible, are made in the problem areas. A small, hollow tube called a cannula is inserted through the incision beneath the skin. The cannula is connected to a vacuum unit and the fat is simply suctioned out of the body. Most of our liposuction patients go home the day of the surgery. The treated areas will be swollen and bruised for several weeks to months, so results are not immediately evident. Our patients receive prescription medication to control any pain or discomfort. Special garments or bandages may need to be worn to compress the treated area. Our patients are typically up and around the day after surgery and return to work within a few days. As the swelling subsides, the results of the liposuction become apparent. Additional procedures at our facility can help touch-up areas that need it. Ultrasonic liposuction is a fat removal technique used at our practice that complements, but does not replace, the traditional liposuction procedure. Ultrasonic liposuction allows our plastic surgeons to access and remove fat from difficult to treat areas such as the upper abdomen, hip, and back. The ultrasonic liposuction technique involves using ultrasonic energy to break up fat cells and convert them into oil. This oil is then easily removed from the body with a suctioning tube called a cannula. The cannula used during ultrasonic liposuction contains an ultrasonic probe at the end and is attached to an ultrasonic generator and a suction vacuum. Our patients are first given anesthesia. After the anesthesia takes effect, small incisions are made in the areas to be treated with ultrasonic liposuction at our surgery center. Fluid is added through the incisions and into the fat to be removed. The fluid swells the skin and allows our cosmetic surgeons easier access to the area. A cannula is then inserted into the body through the incision and passed through the fat. The ultrasonic energy generated by the cannula breaks up the fat cells and converts them to oil. The oil blends with the fluid and this mixture is vacuumed out of the body by the cannula. Recovery after ultrasonic liposuction is similar to the traditional liposuction procedure detailed above. Complications possible with traditional liposuction are possible with ultrasonic liposuction. Additional complications from the ultrasonic liposuction procedure include skin burns and scarring caused by the cannula tip. Fluid can collect in the suctioned area following surgery, but this problem is usually insignificant and treated successfully. If you are of normal weight yet carry saddlebags, love handles, or other areas of fat that just won’t budge regardless of how strict your diet or how much you exercise, ultrasonic liposuction can help. Although liposuction is a surgical procedure and there will be some degree of scarring, the technique used by our experienced plastic surgeons minimizes the visibility of these scars. The incisions used during the liposuction procedure are very small, and in many cases, they can be placed in discreet areas. Once the healing process is complete, the scars from liposuction typically fade and are often barely visible. Our plastic surgeons can provide you with more detailed information in regard to possible scarring after your customized treatment plan has been designed. Are There Any Liposuction Side Effects? The most common side effects of liposuction are mild swelling, bruising, redness, or soreness. These side effects usually resolve quickly. Less commonly, patients may notice temporary numbness after liposuction. At the site of the incision, the skin may change color or become irritated. It is not uncommon for the skin to appear loose at the liposuction site immediately following the procedure. As the healing process continues, the skin typically contracts and contours to the new and improved shape of the body. Our plastic surgeons will carefully review each patient’s medical history before determining their candidacy for liposuction. Patients with certain blood or heart conditions may not be good candidates as the risk for complications increase. During the consultation process, your plastic surgeon will thoroughly discuss all risks and side effects, allowing you to make an informed decision about your body and overall health. There are a number of non-surgical alternatives to liposuction that can reduce fat deposits in a given area without extensive downtime. If you struggle with excess fullness in the neck, KYBELLA® double chin reduction offers a minimally invasive treatment that can contour the region under the chin for a sleeker and more defined profile. KYBELLA® utilizes a solution composed of deoxycholic acid—a naturally-occurring substance in the body that can break down fat cells. To treat the appearance of excess fat, the KYBELLA® formulation is injected evenly into the designated area and patients can gradually experience a reduction in fat volume that leads to a leaner jawline and neck. This treatment can be a great alternative to chin/neck liposuction for patients who want to reduce the appearance of “double chin” caused by abundant fatty tissue. For fat reduction around the waist, our plastic surgeons also offer non-surgical, non-invasive treatment with Liposonix®. This innovative technology uses high-intensity focused ultrasound (HIFU) energy to target and destroy fatty tissue in the subcutaneous layers of fat. Liposonix® can allow the body to naturally and gradually metabolize fat cells, creating a smoother more contoured look in problem areas around the midsection, such as the abdomen and love handles. If you would like to learn more about traditional liposuction or ultrasonic liposuction, we encourage you to meet with Regional Plastic Surgery Center’s surgeons. In addition to helping patients learn more about liposuction, they can also help patients determine whether they are candidates for other cosmetic treatments and surgical procedures.  Please contact Regional Plastic Surgery Center today to schedule a personal consultation.